The RFID Technical Consulting service supports the successful startup and continued operation of customers" business-critical RFID systems. Available at a daily rate, this service enables customers to have one (1) or more skilled Motorola Advanced Services RFID experts on-site to support their RFID systems at critical times, such as go-live or system expansion. 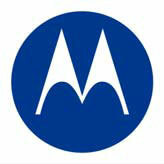 Such support is not included in Motorola"s RFID Customer Services agreements.